Icom 7300 DM780 Setup: I’m using the free version of Ham Radio Deluxe and DM780 in this example. The free version is still available here. If you like the free version I would suggest you get the paid version at some point. The updated Digital Master 780 does RTTY (FSK). That’s what I’ll be upgrading to later. I am also using Windows 10 and my PC is a Lenovo P580 laptop. One of the last posts I did was setting up Ham Radio Deluxe with the Icom 7300 using a CI-V cable. This article just takes it a little further and gets DM780 setup with a USB cable so you can operate digital modes. It is very simple, but this is very basic. If you want more detail, take a look at the manual and browse some YouTube videos. For now, this article will get you going on PSK31, RTTY (AFSK), CW and a few more. First things first. Review my previous post Icom 7300 Ham Radio Deluxe Setup. Make sure the Icom 7300 is setup correctly in the menu. You should be using the CI-V cable for rig control and you should already have downloaded the USB driver from Icom and installed it. Here’s the download link, USB Driver (Ver 1.2). Do not connect the USB cable until you have downloaded and installed the driver. Start HRD and then start DM780. Go to Program Options and click on Soundcard. Set the Input (Receive) to the USB Audio CODEC, mine is on COM4. Set the Output (Transmit) to the same USB Audio CODEC (COM4). 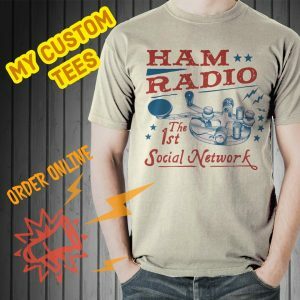 I use Ham Radio Deluxe – DM780 for PTT, so put a check mark on that. Next click on Modes + IDs. Check mark the “Use PTT” in the upper righthand corner. Next check mark “Enable serial (COM) port keying and select the com port your USB cable is using. Mine is COM4. When operating digital modes set the Icom 7300 to DATA mode (see Pg. 3-3 of the full manual on how to set the operating mode.) For instance when I am using PSK31 on 20 Meters I have my rig set to USB-D (USB DATA). When operating CW you’ll have the rig in CW mode. This is a lot of fun. It helps when making contacts. I use it for a contest here and there and also use it to send CQ. I’ll do a post on N1MM Logger + later. Now that’s the way to go when contesting and it’s a whole lotta fun! That should do it for the Icom 7300 DM780 setup. You should now be able to setup your macros and operate PSK31, RTTY (AFSK) and CW. Please see this video for a little more detail. Thanks for dropping by and looking at the Icom 7300 DM780 Setup. I hope you find this article interesting and useful. Hi Rich. I’m following all your video instruction and things are going well. 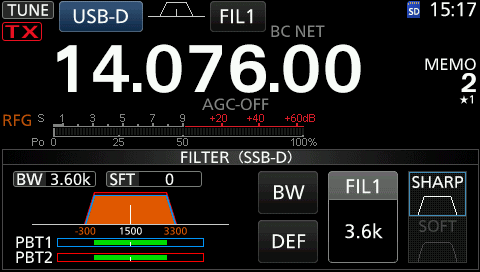 I wonder if you could do a summary of your current best settings for the 7300 and HRD/DM780/WSJT-X? I have followed the settings over the years and they seem to have evolved. I, like you, would prefer to have radio settings that don’t change from mode to mode. Also, I am using the two cable setup but dont use FSK so are two needed or better? Thank you for the comment and great question. I like how HRD, WSJT-X, JT Alert work together and as in this video I like using Ham Radio Deluxe for rig control and I am only using one cable. So this works great IMO. I still use two cables (USB and CI-V) with my Icom 7610, I just don’t have one connected to the 7300 at the moment. I always seem to find a use for the CI-V cable. I wouldn’t say it’s better, it just works good. I will put something together with HRD and DM780. I am especially interested in looking at CW again in DM780. HRD will probably come out with a Band Spectrum Scope this year, so it may be prudent to use the USB cable for rig control. That’s how N1MM, DXLab and others need it done. There are many different configurations and whatever works for you and doesn’t cause problems, that’s what I would stick with. The internal settings in the radio don’t change, but when I go back to SSB from USB-D I have to turn AGC back on. The FIL switches back to the SSB FIL automatically. Thank you so much and I look forward to hearing from you again. Thanks for the reply Rich. Currently I have settled on operating WSJT-X without HRD because HRD was causing my radio to switch from USB-D to USB after every xmission and again at the beginning of a transmission if I changed it back to USB-D between xmissions!! So that’s what works for me. I am using two cables because that’s the way I first set it up and if it ain’t broke don’t fix it. I think I’m done setting up WSJT-X. That’s just the configuration I was using and still have with my 7610. WSJT-X uses one cable and HRD uses the other. Works perfectly. Thanks for commenting and I hope to hear you on the air. I hope to do more with the 7300 and DM780 soon. Good videos but I am told that I do not need a CI-V cable. Now that has me totally confused. Can you explain in layman’s terms what the CI-V cable does and if I do not use it why would I need a virtual com port?? Hoping you can help. Many Hams use just the USB cable and it is all that is needed. However, down the road if you wish to operate RTTY (FSK) you will either need a CI-V cable or need to use something like VSPE. I chose to use the CI-V cable. Caveat: Now that software programs like N1MM have a Spectrum Monitor Scope, similar to the scope on the radio, that uses the USB cable, many Hams are sticking with just a USB cable and using something like VSPE. It is the only way to get the N1MM Spectrum Monitor and to also be able to send RTTY (FSK). I use both today. Sometimes VSPE and sometimes the CI-V cable. The CI-V cable comes in handy for other things too. My suggestion is to use the USB cable and decide later the path you wish to take. I hope this helps. If it is confusing, it’ll make more sense the more you use the radio and software. “Error opening COM8 to send CW – Access denied.” I have the same CI-V cable with the green and red lights. Both blink. Any thoughts? Are you using the same COM port for CW keying as you have for HRD rig control? Use the CI-V for HRD Rig Control and the USB cable (COM port) for DM780. I just tried that and it still does not work. HRD is using CI-V (COM8 on my computer) and DM780 is using the USB (COM7). However, when I try to send CW it still gives me the same error message. For some reason it wants to default to COM8. Are you using CW (KY CMD) in DM780? If not try it. That’s great John. It’s usually something simple. Hope to hear you on. Just got an IC-7300 recently and I am trying to get the two cable approach to work. I am missing something I think. Every time I connect the data controller the rig goes into transmit and stays in transmit. Pause and stop are grayed out. I know it has to be a setting somewhere. I am using a RigTalk for ICOM CI-V to interface the C-IV remote control jack to my PC. Any thoughts?? Nice to hear from you and great question. It is probably RTS enabled somewhere in two places. I have RTS set for USB SEND in my radio. Then when I connect with software I make sure it is not using RTS or it is at least set to low (this applies to some software). If you can’t find the issue in the software go into the radio MENU>SET>CONNECTORS and change USB SEND to OFF. I m stuck! I m running HRD latest version with the two cables connected to the radio everything went very easy thanks to your videos. I can send CW no issues but when changing to RTTY FSK I get solid career signal but no warbling? I have check and check all steps and no joy yet, I’m sure is me doing something wrong or missing some check mark just can’t pin the issue? Please advise. Thank you for commenting and it’s nice to hear from you. Try looking at the Modes+ID’s in DM780. Is FSK Keying checked with correct COM port? Devices, mine is set to Rigblaster. Check that you are in RTTY (FSK) mode on the radio and DM780. Can you get it to work in MMTTY? Sometimes I have to restart HRD, DM780 all together to get it working. I find DM780 FSK not so good. MMTTY is FB! I have spent most of the days communicating with PD9FER, Ferri at HRD support (he sends his regards). As mentioned earlier, I had problems with my IC-7300 going to TX when I started HRD. Ferry have hunted this problem and found a simple but amazing solution. The solution was to uncheck RTS in HRD Preset (all boxes unchecked). The amazing part was that I could send real CW without a CV-I cable (?). With the rig in CW mode and the DM780 in CW (KY Cmd), my IC-7300 sent gorgeous CW signals and the rigs KEY SPEED and CW PITCH can control the signals. Ferri assures me that I send CW and not MCW but I don’t know any way to check it, do you? If this is correct, I can’t quite see why one should use a CV-I cable in addition to the USB cable. Thank’s for a great article. I had some trouble with my home-made CI-V cable until I realized it needed its own USB driver (PL2303). Also encountered a problem when DM-780 started the transistor in TX mode, but it was permanently fixed by clicking start and stop (F4 and F5) in the program. I’m 80+ and my CW has become somewhat rusty. Now a new world is open to me. I’m having a lot of trouble getting my IC7300 and HRD 6.4/DM780 to transmit in CW mode. I’ve been following the instructions I’ve found here and on other sites, but it doesn’t seem to work. I’ve got both the regular USB cable and a Valley Enterprises (FTDI chipset) cable hooked up between my Lenovo T430 and my rig. (The CI-V cable is in the Remote port on the back of the rig, if that helps.) When I’m in DM780 and in CW mode, I hit the Auto button and the rig goes into TX mode, but it doesn’t actually transmit anything. My USB cable is COM3 and my FTDI cable is COM4. I had all this set up and working fine with PSK31, but I just can’t get it to work with CW, which is why I bought the second (FDTI) cable, based on all the information I’d seen online. I’m almost tempted to reset the rig to factory defaults and start over, just in case I’ve got something else configured wrong, but I haven’t gotten to that point yet. Nice to hear from you and no need to reset. I had the same trouble while setting my computers up. This last time was on a Windows 10 Pro HP desktop computer. It seems to be a delay. I don’t ever have the problem in N1MM. You may find a similar issue if you try RTTY(FSK) in DM780. First, make sure your radio and DM780 are in CW mode. In DM780 select the CQ macro and see if it sends. Wait until the entire message is sent. If you still don’t see it (hear it) sending CW, try entering vvv vvv vvv in the send field and send it with “Auto” “F2”. Does it send? On the first try mine won’t send, but on subsequent tries it works fine. I set it up with hopes of using it in a contest, however I found that HRD Logbook is not a good fit for me in CW contests, so I haven’t used it in a long time. Does it work for you after it sends a few characters? You could also try CW (KY Cmd).